I started teacher-training for my PGCE in 2003, when I was fresh-faced, idealistic, and ready to contend with any of the trials that the classroom may throw at me. What followed, as an NQT and the first few years a new teacher, were some of the most difficult lessons I have ever learned. When it comes being successful and confident as a teacher, nothing beats time and experience. You’ll make a lot of mistakes as you go along. I know I did. That’s why I have decided to share some of the most important lessons I learned in those thirteen years. ONE – Never get angry (or at least learn to hide it well). This takes practise. Students have a sixth sense for weakness and anger is weakness. You know when you were a pupil and you behaved perfectly for certain teachers because they were so terrifying? They were actually beacons of calm and tranquillity. There’s a big difference between acting like the stern and incensed authoritarian of your worst nightmares and actually losing control. Losing control in the classroom is disastrous. I think this was the hardest lesson I learned. It certainly took the longest to master and I didn’t manage it in my NQT year! TWO – You are not your students’ friend. Everyone wants to be liked. As an NQT it’s easy to slip into the habit of trying too hard to win classes over. Sharing details of your personal life, being too informal, trying to make them laugh more often than you are actually encouraging learning – these are all very dangerous and can be a slippery slope. You are not equals in the relationship. Giving over some of your authority in order to flatter your ego will only lead to tears. THREE – Like your students. This may seem like it’s a contradiction. However, there is a key difference between showing interest and admiration for a pupil within the confines of a student-teacher relationship, and stepping outside those limits. Children like to be liked as much as you do. If you show disdain for them you will never win them over. Smile as they come into the classroom. Know their names by the second lesson. When it’s appropriate and you have time, show an interest in them as people. This has to be appropriate. You don’t want details of who fancies whom, or whose parent grounded them for drinking vodka in the park last weekend – but show that you became a teacher because you actually enjoy getting to know young people and you care about their interests. FOUR – Never go back on your word. If you said you were going to keep them in for ten minutes at break, keep them. If you said you would phone home – phone. Promised a breakfast revision session with food? – make sure you do it. Pupils need you to believe in your word, every time. Not only does going back on your word weaken any respect they may have for you, in reality some of those pupils will not have that certainty or security at home either. You need to be their rock. This is tough – very tough. Just like with parenting, consistency and certainty reap rewards if you put the hard graft in at the beginning. FIVE – A little praise goes a long way. It’s easy to forget to do it – you are so caught up in the day-to-day business of planning and marking and lessons – but praising pupils is so important. Not only this, it can often be the most effective tool in your classroom management arsenal. I have phoned home to tell the parents of a difficult pupil that they have done something wonderful in my class and it did more good than ten detentions, sendings-out, or exclusions. They behaved for a full week afterwards and the genuine joy on their face when they tell you how happy their parents were to ‘get a nice phone call’ for a change is heart-warming. Don’t forget to reward the middle ground pupils too though. The high-flyers and tricky students are often the ones that get the most praise but it is the most powerful motivational tool you have for all pupils – from the odd word at the end of the lesson, to praise points and phones calls. Use all the praise you have and use it as often as you genuinely can. SIX – Don’t be afraid to admit you were wrong. This is another one which may seem to contradict earlier advice. However, I don’t mean u-turning on detentions or deciding it is alright to only write three sentences for an essay after all. I mean if you get something wrong – genuinely wrong – then simply state the correct information and move on. Do it quickly and clearly – without reluctance or embarrassment. Your students will learn to respect it and accept it without drama or comment. Of course, you can’t lie. If that student is under-performing, you have to get the information across. But you can break that in a way that doesn’t make the parent instantly bristle. Start with something positive – something that shows you know their child, you’ve taken the time to understand them, and you have their best interests at heart. 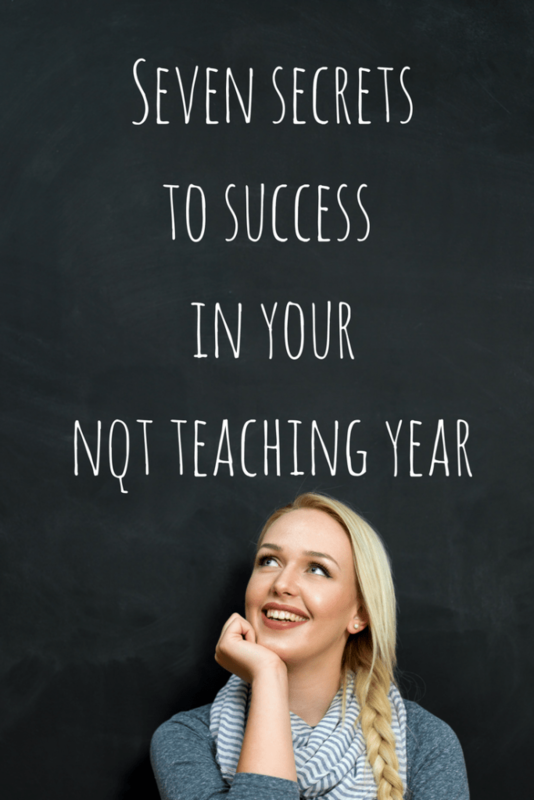 And that’s it – those are the nuggets of wisdom I wish I had known when I was an NQT. It may seem like they are a little easier said than done to begin with, and they should by no means be taken as the only route to success. Hopefully they have given you some tips to start you on your way to being the NQT and new teacher you want to be. Good luck. These are all really interesting insights into teaching, and being successful at it. Personally, I don’t think it’s a job I could cope with! I could relate a lot of this to being a pupil at school. I had a teacher who wanted to be everyone’s friend-she spoke constantly about her personal life, and wanted to know who had slept with who etc. She was a bit of a standing joke, and everyone still remembers her now, all these years down the line! I totally agree about not forgetting the middle of the road children-I was one of these, and a lot of the time I felt completely invisible at school!! I’m sure this information will be so helpful to somebody just starting out!